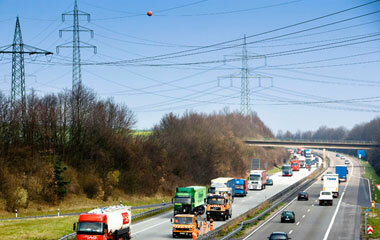 We are primarily tasked with providing power transmission services, system services and facilitating the energy market. Our core tasks follow from our appointment as grid operator under the Dutch 'Elektriciteitswet' (E-wet) and the German 'Energiewirtschaftsgesetz' (EnWG). TenneT presents Hub and Spoke concept for large scale wind energy on the North Sea. 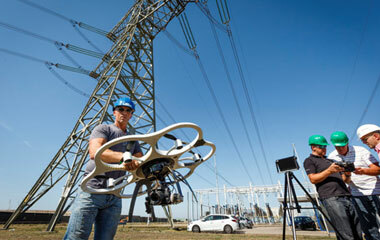 TenneT manages the high-voltage grid in the Netherlands and large parts of Germany. TenneT transmits electricity at 110,000 volts (110 kV) and higher. With around 23,000 kilometres of high-voltage lines, we cross borders and connect countries. Maps of our onshore and offshore high-voltage grid. The energy sector is developing rapidly. The process of European market integration began some years ago. Its purpose is to create a single European market that enables market parties to trade gas and electricity across national borders easily and efficiently. We provide transparency data on our operations on our Dutch and German transparency page and on ENTSO-E.
Our vision is to be one of the most transparent Transmission System Operators (TSO) in Europe and thereby creating value for society. In this Energy Insights section we present selected energy related topics and show data, information and valuable insights. Facts & figures related to TenneT facilitating the market can be found here. TenneT is a leading European electricity transmission system operator (TSO), with activities in the Netherlands and in Germany. We strive to ensure a reliable and uninterrupted supply of electricity in our high-voltage grid for some 41 million people. We aim to be among the best CSR-performing electricity transmission operators in Europe. It is TenneT's mission to provide security of electricity supply in the markets we serve and to pursue the development of an integrated and sustainable North West European electricity market. We take the responsibility to maintain grid stability and enhance the high-voltage infrastructure, enabling the large-scale use of renewables. Beyond contributing to reducing the overall carbon footprint of the Netherlands and Germany by facilitating the transition to renewable energy, we also taking measures to limit and compensate for our own impact. For TenneT, Corporate Social Responsibility (CSR), is not only related to the reduction of our carbon footprint, but includes a much broader pallet of subjects, related to create a sustainable future for all our internal and external stakeholders. TenneT aims to be among the best CSR performing TSO’s in western Europe en is continuously looking for innovations and opportunities to improve the level of CSR. Based on stakeholders' input and TenneT's perspective, four CSR pillars are identified; markets, society, environment and employees. It is TenneT’s job to keep the lights on, underpinning the fabric of our society and guaranteeing the supply of electricity to 41 million end-users. We take this responsibility very seriously and reach out to all our stakeholders to keep society connected, now and in the future. To power homes and businesses, energy has to travel long distances across many different landscapes. This inevitably has an effect on the environment. As a company, we are aware of our responsibility to take care of the environment and to limit the impact within our reasonable abilities. TenneT wants to be an employer of choice, creating one of the best places to work in the European energy sector. Committed and dedicated people are key to our continued success and growth. TenneT continuously looking for innovations and opportunities to improve the level of CSR. We report on our CSR performance yearly. It is TenneT’s job to guarantee the supply of electricity for its 41 million end-users. Innovation in systems, services and technology is necessary to address the changes TenneT is facing.